The important thing is i didn't drop! 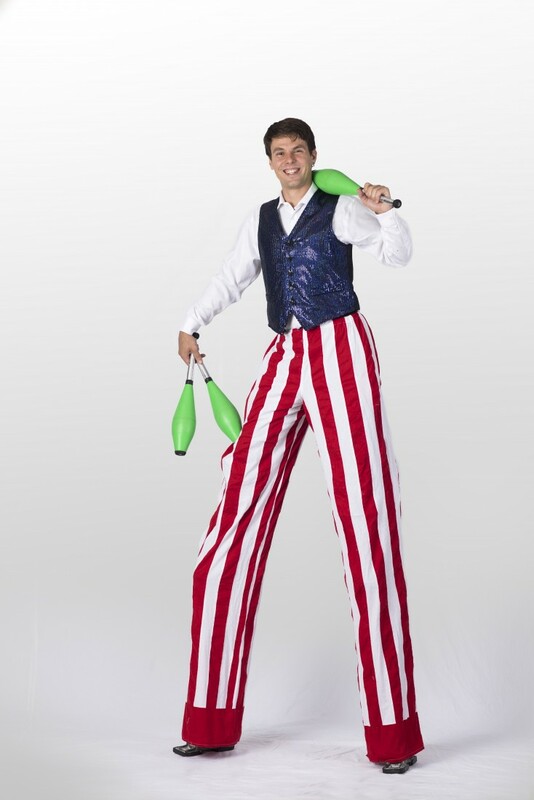 Rufus is a great variety circus performer for any event, birthday parties, strolling gigs, corporate gathering, school assemblies, and library reading programs. Flexible and affordable for almost any space and budgets. With a large skill set including juggling, unicycling, magic, and impressive balancing acts, to name a few. Throw in a great sense of humor with jaw dropping tricks that will make for a show that everyone will have a great time being a part of. Put on a Great show! We had a group of about 25 adults and everyone really enjoyed the show! Loved the hint of comedy and variety of props! He was very flexible with last minute changes within the venue and made do without being able to use a microphone and speaker. Would absolutely recommend or hire again without hesitation! He was great!!! I would definitely hire him again!! A great variety circus show, perfect for any and all ages. 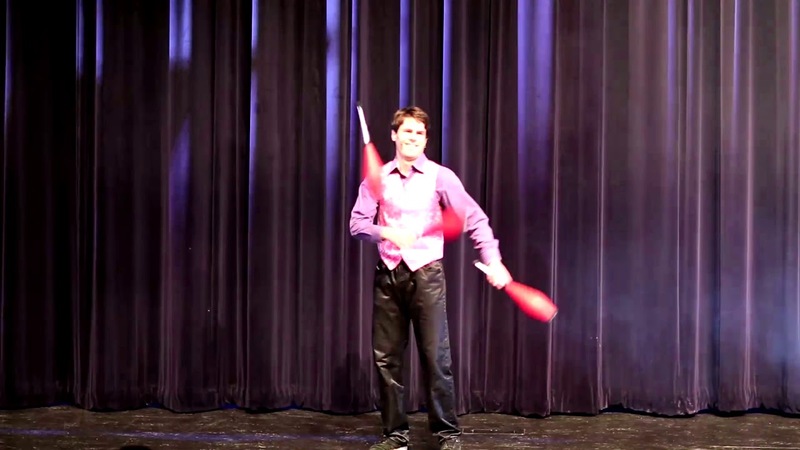 The shows consists of mostly juggling based tricks, such as balls, clubs, cigar boxes, diabolos, balancing tricks, and knifes and/or torches depending on the venue. Other tricks include unicycling, magics, ball spinning, hat manipulation, and knot throwing tricks with a piece of rope. All performed with comedy being the focus of the show, laughter is a must. Add some audience participation and tons of audience interaction and you're guaranteed to have a good time. Charles Clark, also known as Rufus the Dufus, started practicing circus arts at the age of 15 with the unicycle one bored summer day. A year later learned to juggle and started going to magic classes to learn magic and showmanship. At the age of 17 nervously worked a small town renaissance festival, where one day he balanced a blind mans cane on his chin as his wife described what was happening. 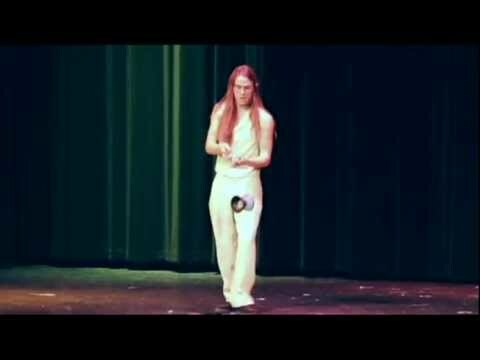 From that point on he's traveled and performed all over the state of Michigan and beyond, becoming a award winning juggler and performer. Always trying to because more skillful in the tricks he's performing and more entertaining and engaging to audiences everywhere. His show has come along was since he started, becoming a gut wrenching comedy circus variety show, performing awesome circus skills, cracking jokes, and interacting with audience members. Some silly tricks and routines to make you laugh, some serious tricks with just a hint of danger to have you on the edge of your seat. On a normal unicycle, a 6 foot tall unicycle, or even one without a seat! with enough control to be in any crowd of people with no worry. To amaze, dazzle, and sometimes just confuse every one, including himself. So very energetic and well rounded use of his body, so don't be surprised if a flip or two gets snuck in there. 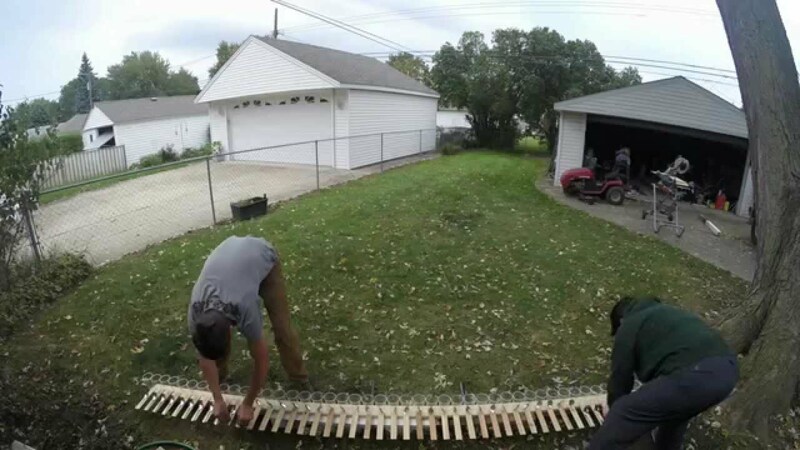 Anything from balancing a stick or chair on his face, balancing on a board on a rolling tube, or a standing at the top of an 8 foot ladder with no supports. Many of these skills will be performed on there own, but some also together, juggling on a 6 foot unicycle, balancing a cane while solving a puzzle cube, the possibility's are endless. Comedy around every turn, making people laugh and have a good time is most important than impressing people to Rufus, so be ready to laugh. So Rufus the Dufus is going to be a perfect addition to any event that you need to spice up and have a little extra entertainment at, all performed with family's in mind, entertaining the smallest of children, to the oldest of adults. Rufus comes ready, just give him a small amount of time to get ready and he's good to go.